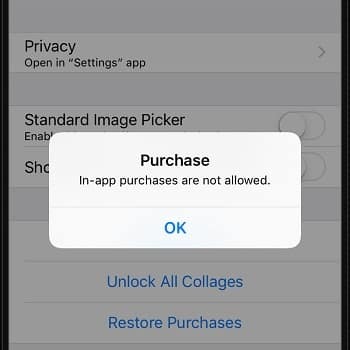 Sometimes when you try to make a purchase on your Apple iPhone or iPad, you get an error that reads, “Purchase – In-app purchases are not allowed”. Usually the error shows up when you try to do an in-app purchase. 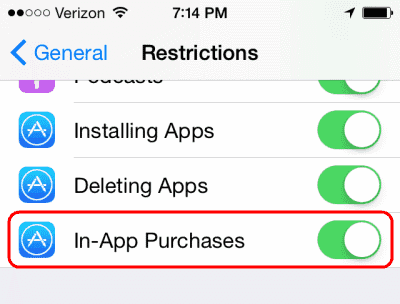 How to fix in-app purchases are not allowed error on iPhone and iPad. Firstly, on your Home screen, swipe over to the screen with the “Settings” icon, then select it. In iOS 12 and higher choose “Screen Time” > “Content Privacy & Restrictions” > “Content Privacy”. However, on iOS 11 and lower, choose “General” > “Restrictions”. If you do not remember setting a password, someone with access to your iOS device may have done so. Scroll down to the “In App Purchases” or “iTunes & App Store Purchases” option and set it to “On/Allow”. Lastly, please note that some apps may have separate settings for in-app purchases under “Settings”. That’s about it for how to fix ‘In-app Purchases Not Available‘ on your iOS devices. For more useful tutorials, check out our iOS guides & articles.